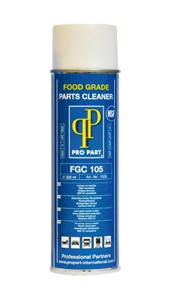 Food Grade Parts Cleaner has high resolving abilities and removes non-polar contamination (oil, grease and lubricants). Parts Cleaner Food leaves no residue, is non-corrosive and has a 360° valve. Food Grade Parts Cleaner is a cleaner for removing non-polar contaminants such as oil, grease and lubricants on treated and untreated surfaces of metal. 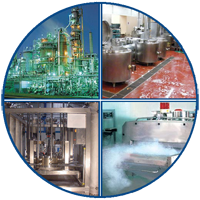 This product is NSF registered (A1) and because of the unique formula this product may be used in the food industry.